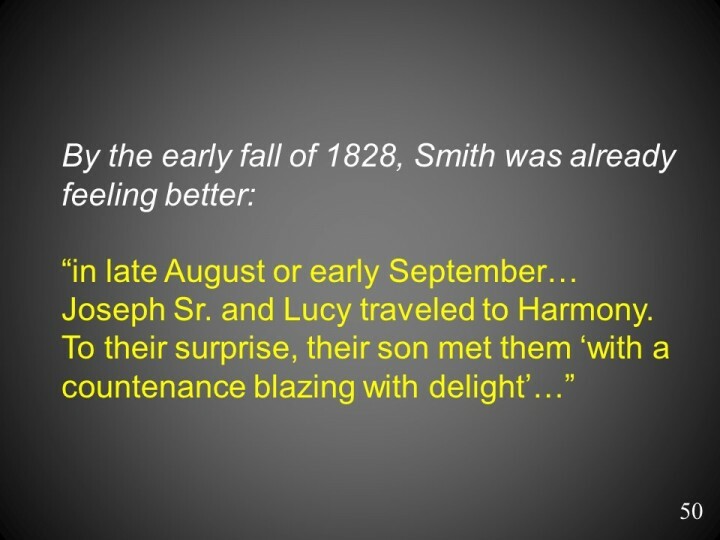 Larry E. Morris (2007) citing Lucy Smith. The Conversion of Oliver Cowdery, Larry E. Morris. Journal of Book of Mormon Studies: Volume – 16, Issue – 1, Pages: 4—17, Provo, Utah: Maxwell Institute, 2007. Lucy Mack Smith, Preliminary Manuscript [1844—45], Church Archives (hereafter Preliminary Manuscript), in Anderson, Lucy’s Book, p. 424.